Learning that a creditor has obtained a judgment against you can be a harrowing revelation. This is because they now have legal means with which to obtain payment from you and a decent amount of time to do so. You have officially become a judgment debtor and your creditor is now a judgment creditor. As the judgment debtor obtains a judgment against you, it is important for you to know the many types of collection techniques your judgment creditor now has at their disposal. Common methods of collecting judgments are wage garnishments, property levies, assignment orders and contempt proceedings. 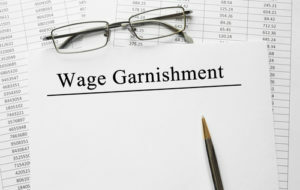 Wage garnishments is a great way for judgment creditors to obtain payment, especially if you receive a regular paycheck. In this case, your employer would take a portion of your wages from each pay period and send it to the creditor. Under federal law, a judgment creditor can take up to 25 percent of your net earnings or the amount by which your weekly net earnings exceed 30 times the federal minimum wage — whichever amount is less. 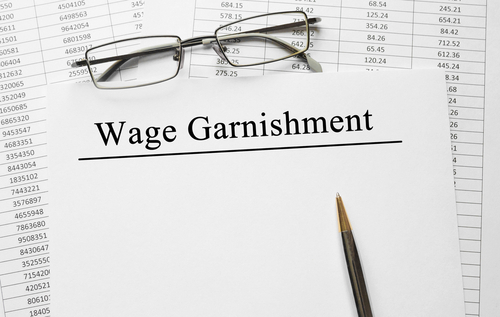 It is important to note that you do have the power to object to a wage garnishment. This can be done by requesting a court hearing but as long as you have the opportunity to have your objection promptly considered, the garnishment can immediately take effect. Another way to collect is through a property levy. Once a judgment creditor gets a writ of execution from a court they can go after your personal property. A sheriff or marshal gets a hold of your property and sells it at public auction. The proceeds from the sale get applied to your debt. An assignment order is similar to a property levy except that it applies to the property you own that cannot be subjected to a levy. This can be things like a loan value of life insurance that has not matured, an annuity policy or an anticipated tax refund. One last form of collection for judgment creditors can be contempt proceedings. Sometimes a judgment includes a schedule of payments or a creditor can request periodic payments on a debt. If you, the judgment debtor, violates that court order then the judgment creditor can seek a contempt order. This means if you miss any of those required payments you can be held in contempt by the judge. This can result in a fine, community service or even an arrest warrant for you to be jailed. With so many different techniques for judgment creditors to collect, it is important to know your rights and legal options. For this, you should consult an experienced attorney. In New Jersey, the Law Office of Joel R. Spivack Esq. can handle your debt problems. For a free consultation contact us today at 856-488-1200.